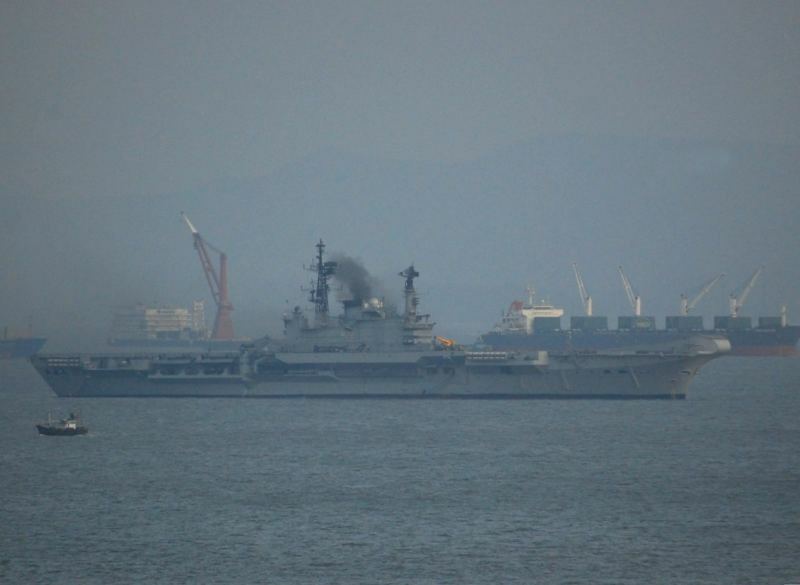 Centaur class, 28,700gt aircraft carrier INS VIRAAT, of the Indian Navy, photographed in Mumbai Bay on a very murky day. She is the ex Royal Navy HMS Hermes,built by Vickers in 1959 as a fixed wing carrier, she was converted to a commando carrier in 1973 and underwent a further conversion in 1976 to an anti-submarine carrier. She was the flagship for the Falklands Task Force and was eventually sold to the Indian Navy in 1987. She is due to be decommissioned in 2013.